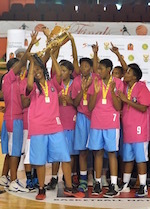 Phoenix Flames have been crowned 2019 Johannesburg Basketball League champions. They beat PTA's Finest 69:53 in the Final. Josefina Gomes stepped up with 17 points for the winners. Charity Chigumbu added 15 points and 19 rebounds for the Flames. She was named the MVP. Phuti Mosehlane replied with 15 points for PTA's Finest. 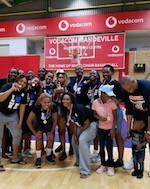 Sturdy Stars clinch National League title beating Fierce Angels in the Final game. Sturdy Stars posted a 67-50 win dominating the majority of the game. Both teams scored 12 points each in the first period, while Sturdy Stars grabbed a 34-18 half-time advantage after a massive run in the second period. They led 53-37 early in the last period when it was clear about the winner. Earlier in October Fierce Angels beat Sturdy Stars 50-45 in overtime at Wembley.